While sharing some of our recent Jets for Check Your 6! Jet Age on Instagram we were asked an interesting question. I laughed! With both Check your 6! and Canvas Eagles firmly routed in the historical wargame category I doubted the creators ever conceived of including monsters like Godzilla or King Kong. But with the seed planted, the idea began to grow. Why not have giant monster rules? 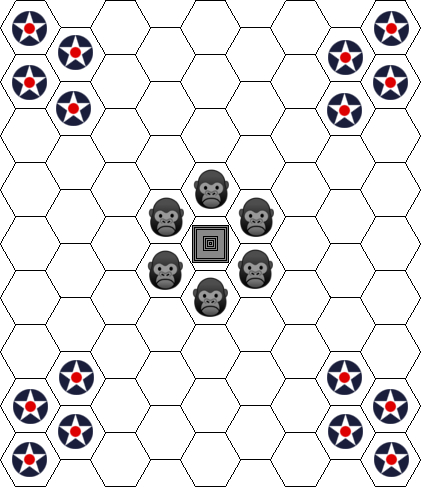 We would ahve to make them ourselves, but JADE has been playing Hex and Counter Air Combat games for the past seven years, I have made my own manoeuvre schedules for planes not provided in Canvas Eagles, and I have even created a small campaign - that I will share on here once I get around to testing it. How hard could it be to make a monster scenario? But of course being set in 1933, not the first world war like Canvas Eagles is, it will take a bit of work to get this going. So let's go. 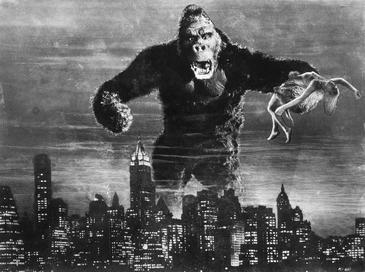 So the first step in creating any King Kong scenario is to figure out exactly what planes were launched to take him out. This was pretty difficult, however as far as I can tell from cruising the forums the most likely plane used was the Curtiss Falcon. Now there is some debate about whether or not this is the actual plane or if it was a Consolidated NY however in my mind, the Falcon is a better fit. The NY was a trainer and just doesn't look the part where as the falcon was a armed observation aircraft. 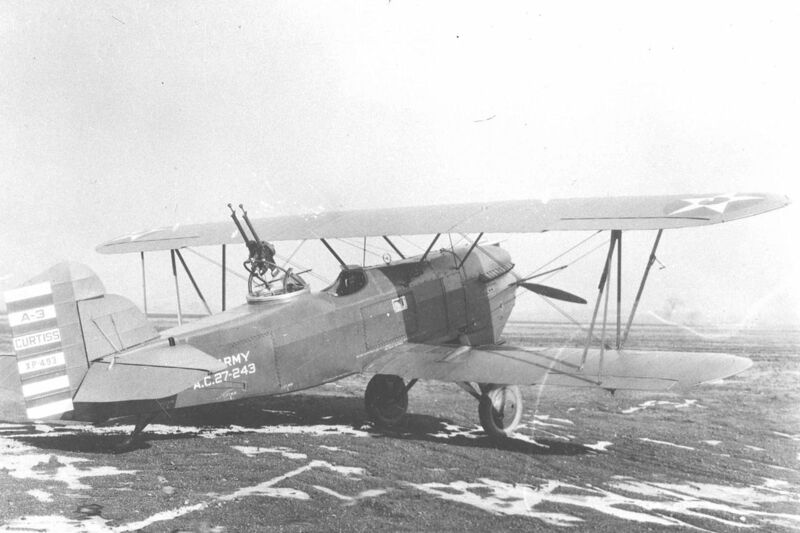 Since the Curtiss Flacon wasn't introduced until 1925, that places it well after Canvas Eagles scope; in which the latest plane included is the Neiuport-Delage NID 29 from 1919. So I am going to have to create a custom aircraft sheet to use the Falcon in game. This requires comparing similar aircraft from the first world war, the top speed of the aircraft, notes on the planes effectiveness and maneuverability, etc. etc. And that is on top of actually making the sheet. It is an involved process, and I promise to include an update with my methodology and the stats of the Curtiss Falcon itself. Deciding on how exactly we were going to represent Kong was a matter of some debated. 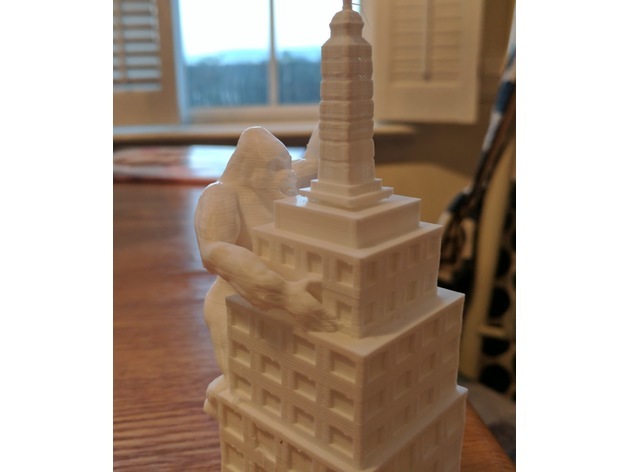 The idea was that there would be a model of the Empire State Building in a central hex and then a Model of a gorilla (likely toy) would move around the out side. This would have worked fine, however it certainly would have been a little lack-luster on the table. And so doing some more digging, I eventually stumbled across this model on Thingiverse. The diea is that the top of the empire state goes in the central Hex as planed, and then rotated to move Kong (clinging to outside) into the six surrounding Hexes. This will still need some working out and testing, but right now this is the clear winner for our Kong Model. 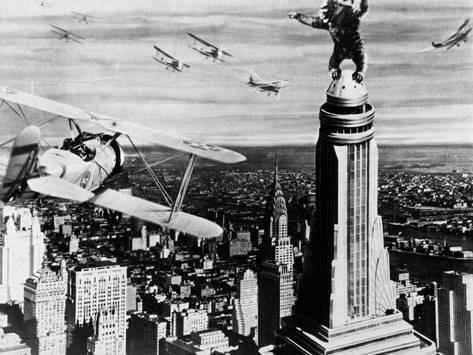 Between 2-16 players all flying Curtiss Falcons confront King Kong atop the Empire State building. The Falcons set up in one of the American Roundel Spaces, and Kong in one of the gorilla spaces. Since Kong is holding Ann Darrow you can't risk hitting her and can only engage Kong at Range 1, rather than the usual range of three hexes. However Kong can strike at any one plane that is within one hex of him for massive damage! Kong lasts for the full 32 rounds, or until the last player disengages and then each player or team totals the number of Red Hits scored. And... that is as far as we got. We still need to work out damage and health rules for Kong, and also factor in that engaging a giant monster is no walk in the park for even an experienced pilot. So more updates to come as we work out and hopefully test this scenario out. Remember that you can get the rules, and aircraft sheets for Canvas Eagles for From from their Website. Thanks @doowopapocalypse we will do our best to get this scenario up in the air for you!